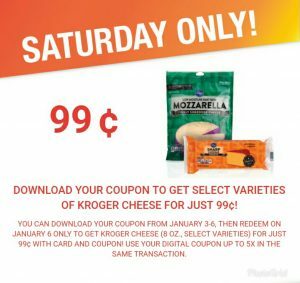 This week’s Saturday Only Offer at Kroger will make you smile! You can get Kroger cheese for just 0.99 each. This coupon can be used up to 5 times in a single transaction. You can only get this deal today so make sure to stop by Kroger before it’s gone! But first, Click Here to download your coupon.